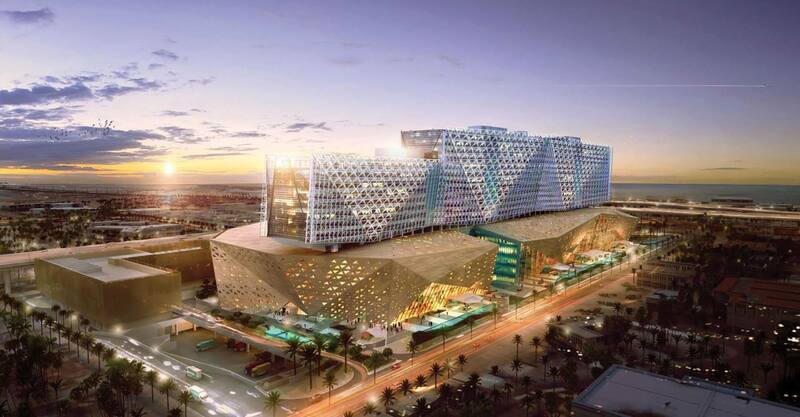 Kuwait Children's Hospital is Koltay Façades' first project in Kuwait. This large-scale project, designed by SSH in collaboration with HKS, will be the world's largest specialist children's hospital of its kind in the world. The design is quite unique with a futuristic look about it. The entrance atrium is over 30 meters high and will feature several structural elements inside. The tower (13 floors) will have double skin with aluminium screens in front of unitized curtain walling. Level 5 will feature an outdoor garden with several pavilions for families to retreat. We are involved in the detail design for the façade of the main building as well as CEP building and car park elements. The project is heavy on engineering and structural calculations and design works.